Fresh back from Meetup 2015 in Indy and still on the road in Washington DC, Dave and I get together for another Home Server Show. Find the audio and links to the video at http://homeservershow.com/news-sophos-beta-and-meetup-2015-wrap.html Support the Average Guy Tech Scholarship Fund: https://www.patreon.com/theaverageguy and in Canada at https://www.patreon.com/theaverageguy Follow Jim at https://twitter.com/jcollison Follow Dave at https://twitter.com/homeservershow This podcast is a member of The Geeks Network. 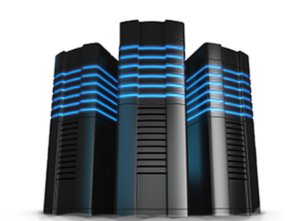 Wondering what’s going on with Windows 10 and the Windows Home Server? We have the answers here. Click over for a listen. Find the audio and links to the video at http://homeservershow.com/all-about-azure-on-home-server-show-281.html Support the Average Guy Tech Scholarship Fund: https://www.patreon.com/theaverageguy and in Canada at https://www.patreon.com/theaverageguy Follow Jim at https://twitter.com/jcollison Follow Dave at https://twitter.com/homeservershow This podcast is a member of The Geeks Network. Find the audio and links to the video at http://homeservershow.com/all-about-azure-on-home-server-show-281.html Jim joined Dave for Home Server Show 281. It’s an all Azure show with guest Dewain Robinson. Sign up for a $200 credit for the first month at Azure http://azure.microsoft.com/en-us/ Support the Average Guy Tech Scholarship Fund: https://www.patreon.com/theaverageguy and in Canada at https://www.patreon.com/theaverageguy Follow Jim at https://twitter.com/jcollison Follow Dave at https://twitter.com/homeservershow This podcast is a member of The Geeks Network. Find the audio and links to the video at http://homeservershow.com/otixo-on-home-server-show-280.html Jim joined Dave for Home Server Show 280. 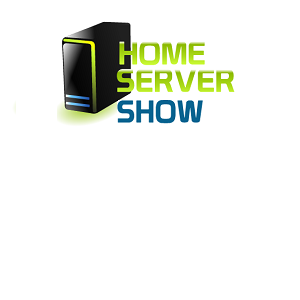 We caught up an a lot of house keeping and announce the Home Server Show Meetup that will take place on September 12, 2015. More details over at http://homeservershow.com. We also dug in a bit on the service from Otixo.com. At the end, we spent some time talking about Harry’s blades! Support the Average Guy Tech Scholarship Fund: https://www.patreon.com/theaverageguy and in Canada at https://www.patreon.com/theaverageguy Follow Jim at https://twitter.com/jcollison Follow Dave at https://twitter.com/homeservershow This podcast is a member of The Geeks Network. Find the audio and links to the video at http://homeservershow.com/ces-wrapup-home-server-show-275.html Drobo USB 3.0 4-Bay Storage Array (DDR3A21) by Drobo http://www.amazon.com/gp/product/B00JLR8IZ2?ie=UTF8&camp=213733&creative=393185&creativeASIN=B00JLR8IZ2&linkCode=shr&tag=avestufrothea-20&linkId=WFFQTJERB5TUEFLX&qid=1421549420&sr=8-2&keywords=drobo Qnap 2-Bay Personal Cloud NAS with DLNA, Mo… by QNAP http://www.amazon.com/gp/product/B00O3Y7F02?ie=UTF8&camp=213733&creative=393177&creativeASIN=B00O3Y7F02&linkCode=shr&tag=avestufrothea-20&linkId=VW6TC7BWXSOWAFIM&qid=1421549472&sr=8-9&keywords=Qnap Support the Average Guy Tech Scholarship Fund: https://www.patreon.com/theaverageguy and in Canada at https://www.patreon.com/theaverageguy Follow Jim at https://twitter.com/jcollison Follow Dave at https://twitter.com/homeservershow This podcast is a member of The Geeks Network.